Funeral services for Steven James “Steve” Stumbough,88, will be held at 1:00 P.M. Friday, April 19, 2019 at the First Christian Church in Wheatland, Wyoming with Pastor Casey Schroeder officiating. Internment will be in the Wheatland Cemetery with military honors accorded by Ora Call American Legion Post #10 and Laramie Peak VFW Post #3558. Steve Stumbough, loving and dedicated husband, father, grandfather, and friend passed away Thursday, April 11, 2019 at the Platte County Memorial Hospital in Wheatland. Steve was born Saturday, January 10, 1931 in Wheatland, the son and only child of James E. and Katie Helen (Sturgeon) Stumbough. He graduated from Wheatland High School in 1949. In January 1953, Steve was drafted into the United States Army. He valiantly served his country during the Korean War and was honorably discharged. He was a superintendent of the ship fueling docks at both White and Naha beaches on Okinawa Island. He loved his country, fellow serviceman, and served with pride. Steve made a lot of friends in the Army and kept in contact with many of them throughout his life. On January 28, 1956 Steve married the love of his life, Marjorie Irene Mills, daughter of Henry and Ester Mills of Wheatland. Together they had two children, LaRae and Grant. Steve worked tirelessly to make sure he provided for his family. Steve was a dedicated and successful rancher his entire life. First and foremost he was a cow man. He raised good quality cattle and was extremely proud of his yearly calf crop. He loved being with his livestock and could practically cure any sick or injured cow. He also loved horses and could ride about any “rank” horse around. He formed a special bond with both his horses and dogs and could trail a herd of cattle to places that were nearly impassable. Steve was truly one of the last “old timers” that took excellent care of his livestock and never over-grazed his rangeland. He was a mentor to many of his fellow ranchers and his word was his bond. Steve is survived by his wife of 63 years, Marjorie Stumbough; children, LaRae (Roger) Quy of San Francisco, California and Grant (Ronda) Stumbough of Casper, Wyoming; grandson, Garrett Stumbough of Casper; and extended family and fabulous lifelong friends. He truly loved his family, neighbors, and friends. Steve was preceded in death by his father, James, on March 25, 1970 and mother, Katie, on October 28, 1938. Serving as pallbearers will be George Faris, Aaron Clark, Jake Chaffin, Steve Shockley, Wade Louthan, and Jason Querry. Family and friends may call at the First Christian Church in the Fireside Room on Friday from 11:00 A.M. to 1:00 P.M.
A memorial to the Wyoming Children’s Society, 314 East Twenty-first Street, Cheyenne, Wyoming 82001 would be appreciated by the family. 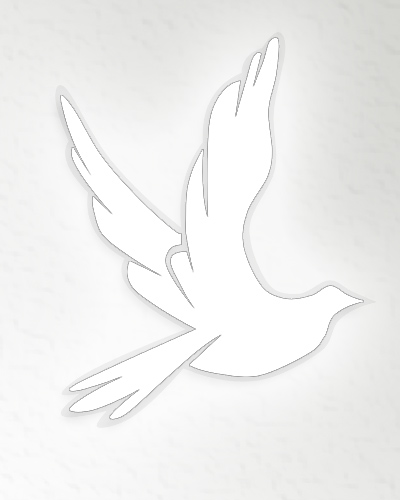 The Gorman Funeral Homes-Platte Chapel of Wheatland are in charge of the arrangements.